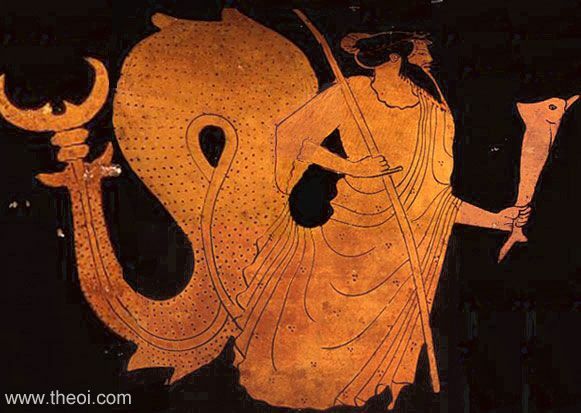 Side A: Nereus, the old man of the sea, is depicted with the upper body of a man with the serpentine tail of a fish in place of legs. He wears a chiton and holds a sceptre and small dolphin in his hands. Side B: Nereid-nymph (not shown).